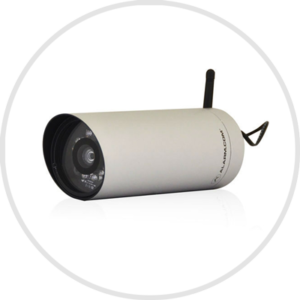 Perfect Home Defense mobile video security cameras protect each nook of your home even when you are away. The new indoor and outdoor cameras have excellent wide field view of 180 degree, with built-in motion detection and mobile access feature, you get 24/7 home protection without any timeout. It does not matter what you want to review, Perfect Home Defense mobile video security cameras show you the visual whenever you need to. So, whether you are sitting in the office, at a friend’s home or shopping in a mall etc., one tap on the mobile phone can open live video monitoring of your house. Live mobile video monitoring makes it’s the best home security alarm system, that is suitable for your home. Having a video surveillance system will allow you to view visual of areas, where the cameras are installed, remotely through the video app. You are free to check recorded videos or live visual on your smartphone or tablet. With mobile access, you can control them whenever you want to. 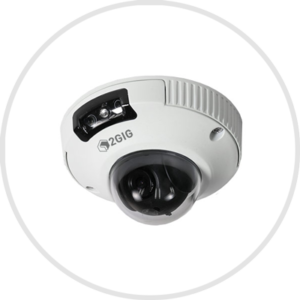 Motion detection enabled video surveillance cameras get active, in case there is a strange movement in the field area view. This triggers the security camera to send a signal, alerting about the event to the Monitoring Stations of Perfect Home Defense. The real-time video feature allows the certified monitoring agents to check and verify the event, upon which they dispatch emergency help if there is a real threat to homeowners. Not only this, the video surveillance cameras send timely messages to the homeowners on their cell phone too for quick action. Now you can verify invaders, check and share their videos or show them to the police to keep yourself and family safer than ever before. With the latest home security camera, you can deter burglars and other criminals from your home in a better and safer way now. Police data shows modern video surveillance cameras prove to be beneficial in this regard. 9 out of 10 convicted criminals agreed they avoid homes and properties with modern video surveillance cameras fixed indoors and outdoors, hence proving their significance at keep burglars right where they are, at a bay. Perfect Home Defense mobile video surveillance cameras are not just like ordinary cameras that offer low resolution quality, they are indeed a comprehensive home protection system that can help prevent you from any harm against break-ins, any street brawl and a burglary etc. So, ensure your home and family’s life safety with modern surveillance cameras. Because there is no compromise on home and life security! Home security indoor cameras allow homeowners to keep an eye on their young children, elderly ones, pets and valuables from their smartphones. Home security outdoor cameras permit users to keep an eye on their surroundings and get notified if any strange activity occurs. © Copyright 2019 Perfect Home Defense.